Amazon Enters Semiconductor Business With Its Own Branded Chips, This announcement marked the venture of Amazon into chip making market on Wednesday, after almost a year after acquisition which reported to be of $350 million. Annapurna Labs, an Israeli company acquired by Amazon last year, announced ARM based processors – a line of Alpine chips. 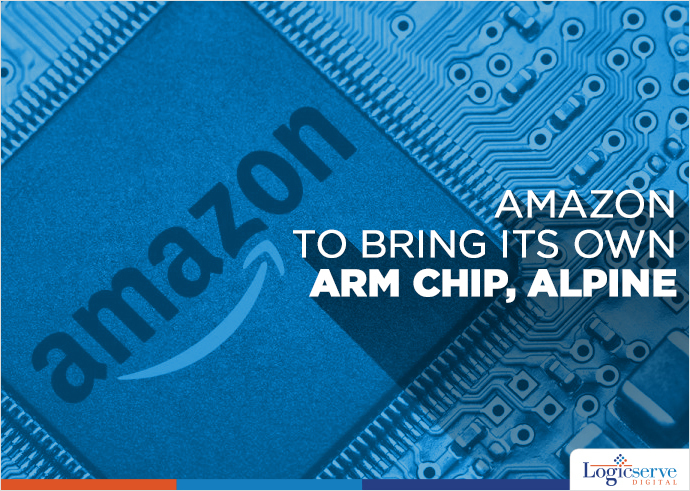 This announcement marked the venture of Amazon into chip making market on Wednesday, after almost a year after acquisition which reported to be of $350 million. According to the company, the chips are designed for media streaming, Wi-Fi routers, data storage gears and connected home products. More so, they have already used the chips in the commercial products from Netgear, Synology and Asus. The company says that the Alpine chip uses various networking technology and carry up to four processors. This is expected to boost the performance of the home products and routers which otherwise is confined to computing power. These ARM chips are focused more toward the storage devices with low-power and networking, instead of the Intel’s highly dominated market of high-end server. Being the world biggest PC chips supplier, Intel continues to dominate the data centre computing market. Whereas, when it comes to mobile market ARM has a strong hold. Whether Amazon will use Annapurna’s technology for its internal use of home products or not, is still left to be seen. Amazon used Kiva Systems (robotics company acquired by Amazon in 2012) technology, by using the workforce robots for its warehouses. News : Groupon Says Gmail Tabs Hurt Its Business. Are They Hurting Yours?